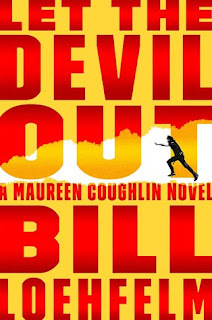 Rookie New Orleans Police Officer Maureen Coughlin returns LET THE DEVIL OUT by Bill Loehfelm, the fourth book in the series and the third set Mr. Loehfelm’s hometown. A reader of the series has gotten to know Officer Coughlin as a tough, passionate, determined self-made woman who learned the hard way that she had to take care of herself. But in the course of doing so, has picked up some bad habits that seem to be catching up with her in The Big Easy. Not unexpectedly, Maureen’s unhealthy habits seem to influence her behavior more than her desire to protect and serve the people of the City of New Orleans. But when she’s asked for a favor from the FBI that, if things work out well, could fast track her to a detective badge, and a series of shootings that target police officers, she works hard to do the right thing, to make her training officer and sergeant proud, and solve the case against the Watchman and the people funding them that was left unfinished. LET THE DEVIL OUT is a story about Maureen Coughlin. At that, Mr. Loehfelm succeeds, creating a character on the brink of either complete and utter self-destruction or becoming a hero all readers can love and respect for becoming the police officer she wants to become while overcoming the scars left behind by the many devils of her past. But in the development of Maureen, a lot of reality of policing was sacrificed, allowing a rookie police officer the latitude and independence to blow-off entire patrol shifts, to disappear with FBI agents and witness shootings with little or no follow-up, and having veteran officers participate in what would otherwise appear to be schemes of a troubled, rookie patrol officer. But just as Maureen, and the novel, seemed too far gone, there is hope, both for Maureen and the case against The Watchman, setting up for what fans of Bill Loehfelm and Maureen Coughlin can only hope will be a fifth book in the series. Loehflem, Bill. Let the Devil Out. 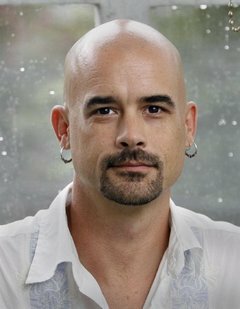 Sarah Crighton Books Farrar, Straus and Giroux. July 5, 2016. ISBN: 978-0-374-29857-9. An advance copy of Let the Devil Out was provided by the publisher. No compensation was provided for this review.